We are sometimes asked whether we grow green or black olives, as if the colours represented two different varieties rather the maturity of the fruit: every olive will turn from green to black as it ripens. 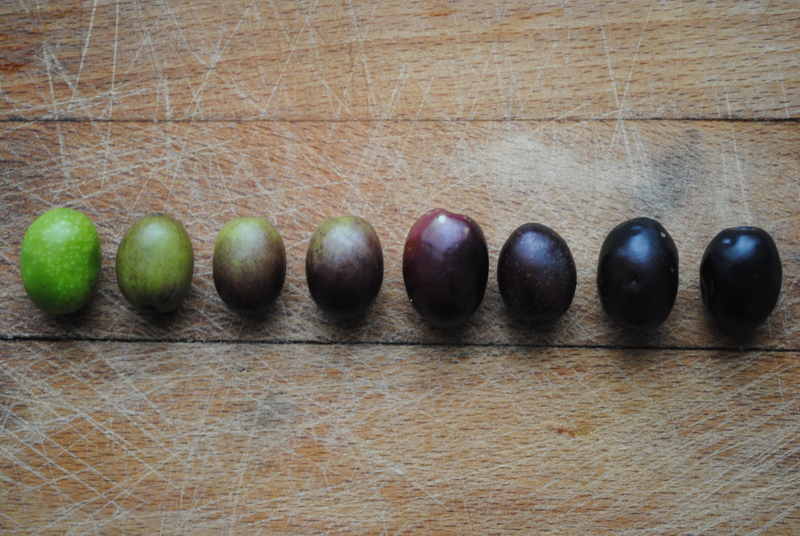 When you spend as much time staring at olives as we do though, you start to appreciate the full spectrum of shades that an olive turns as it ripens in the sun. At harvest time, a single tree can have fruit in a variety of jewel-like tones: vibrant, acid green; blush pink; dusky mauve; rich, cherry red; glossy black. For olive farmers, monitoring the colour of the olives is a serious business, the crucial indicator that it’s time to begin harvesting. 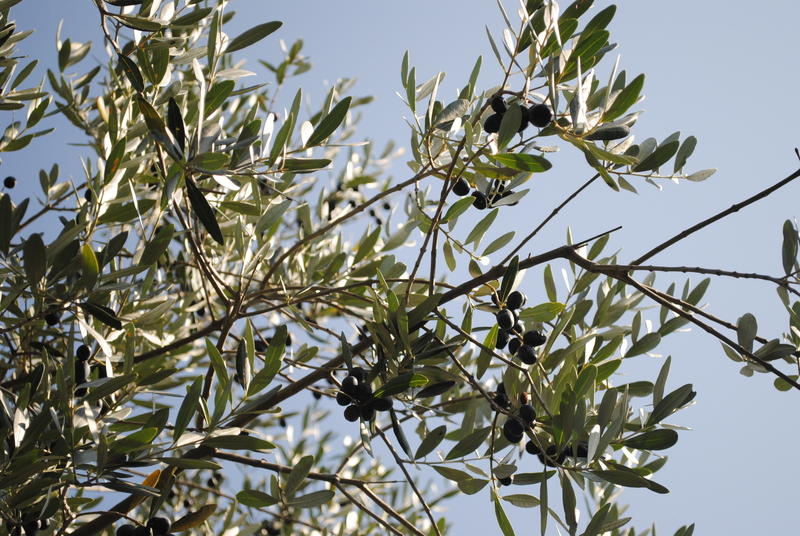 Firm, green or mauve-tinged olives will yield a small amount of strong-tasting oil; squishy cherry-red or black olives will produce a larger quantity of mild flavoured oil. We picked ours when inviatura (the colour change) has just started, to get a strong, spicy flavour. Table olives are an entirely different story – most olives that appear black in tins or jars were actually picked when they were green, unripe and still firm enough to withstand industrial processing. They are then oxidised and treated with preservatives during the lye (caustic soda) curing process to ensure a dark, uniform colour. Ripe black olives which are naturally less bitter than unripe olives, are usually processed using more traditional methods, such as salt-curing, brining and dehydration. 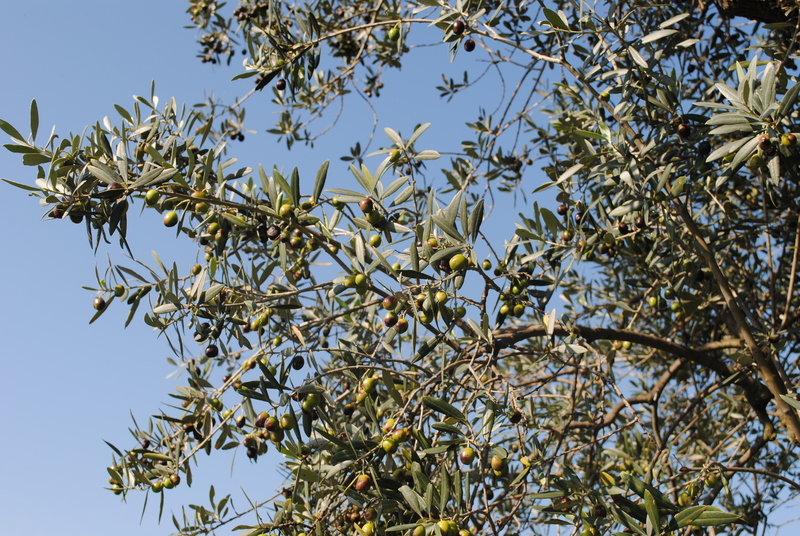 Most of our olives have now been milled and the precious oil extracted, but we have left a few on the trees to darken, which we will pick later for curing and eating as table olives. Thanks, I have been thinking about the colours of olives I picked and have not understood why there are so many different colours from the one olive! Happy to have solved a mystery! I find them so pretty. 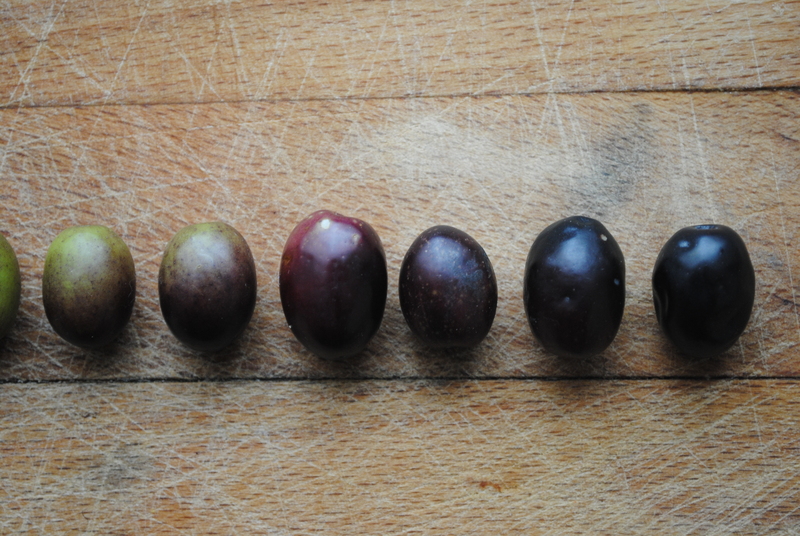 The many shades of olives are beautiful! I’m a little concerned about the black olives I still love to eat (yes, from a can!). When I was a little girl, I loved black olives so much, the Easter Bunny used to put a can in my basket each year! Now I enjoy and eat every olive in the deli case. Should I worry about the processing of my old beloved, canned black olives, though? Best wishes to you! My mouth waters! I live through your fine descriptions and the scent is amazing. I will not look at another olive the same way again! May I come visit next harvest season? 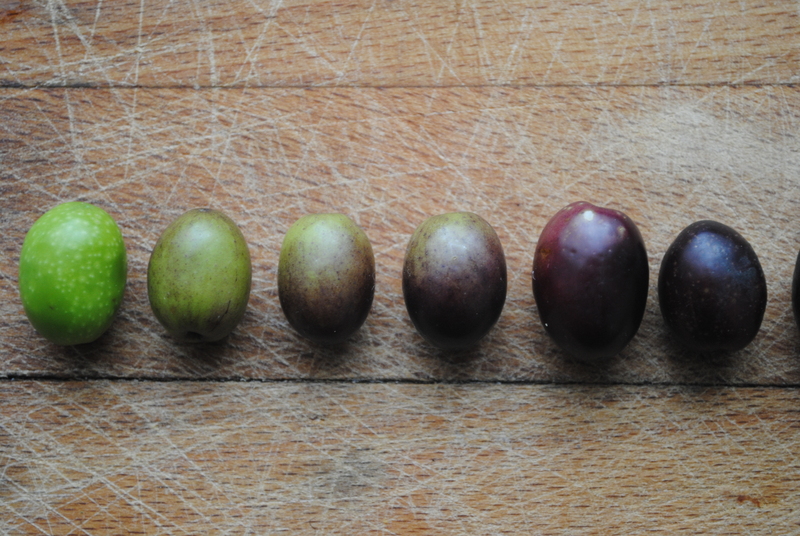 What a lovely picture of the different olive shades. I am trying to pickle some myself this year and inspired by your post, I am already looking forward to the experiment. N.
you means there is not different races of olives like what people called black or green olives ?? ?